Brent Beidler, Beidler Family Farm, Randolph Center, VT was to make the last presentation for the session, Grain Supplementation Economics and Strategies for Pastured Dairy Cows. However, due to the weather he was unable to attend in person and our attempts to schedule him to use the speaker phone Thursday evening failed. His PowerPoint presentation was forwarded to us. What follows is a brief overview of the PowerPoint Brent provided us. 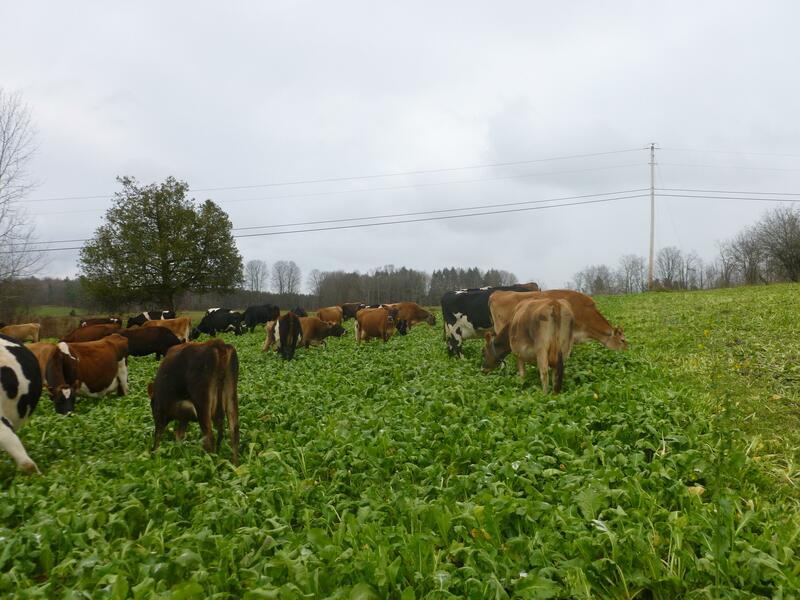 Beidler Family Farm is a small grass-based dairy farm in Vermont consisting of 145 acres, 45 acres are wooded. Their cows graze pasture from May 1 to November 15 most years. Wheat and spelt is grown on the farm and milled into flour for sale locally. Oats are also grown, but for cattle feed. The straw from all 3 is baled and used for bedding.